This mountainous region of northeastern Italy is characterized by the unparalleled beauty of majestic mountains and lovely scenic lakes. It is divided by the Adige River. 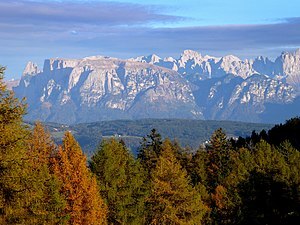 Trentino is Italian-speaking and Alto-Adige, the German-speaking area is known as the South Tyrol. Alto-Adige was part of Austria until after World War I. Cortina is home to many fashion juggernauts including Bulgari, Gucci, Benneton and Geox. 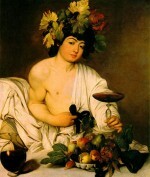 Trentino is the home of Cavit’s wine empire. 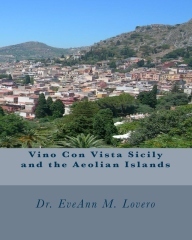 In the 1960’s Provincial Road #14 was transformed into the Winestrasse (Wine Trail). 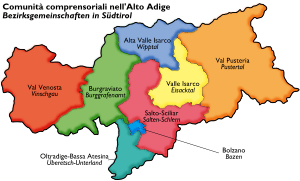 The South Tyrol Wine Road in Alto Adige runs along the right bank of the Adige River between Salorno and Bolzano. It is one of the most scenic roads in Italy. Pristine vineyards carpet lush Alpine valleys. 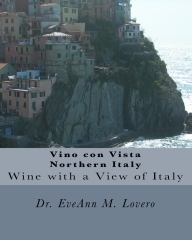 Stop at the wineries for a “Vino con Vista.” This region produces grappa. In 2009, UNESCO added the snow-clad Dolomites on the east side of the Province to Italy’s World Heritage List. This area has frequent landslides, floods and avalanches and UNESCO hoped to secure more rigourous defense and preservation of this area. The Dolomites are Italy’s most distinctive mountains and were formed 200 million years ago from the Primeval ocean. Their majestic mineralized coral forms magical spires, pinnacles and rock walls. The mountains include 18 majestic peaks with interesting rock formations that are perfect for skiing. 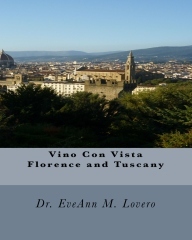 The “Cinque Torri” rock formations include five towers that soar to heights of 7,762 feet. During the Christmas period the towns of Bolzano, Merano, Bressanone, Vipiteno, and Brunjco offer Holiday markets. 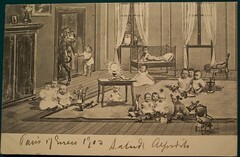 The Christmas tree (Christbaum) and the Nativity scenes are common themes in this region. 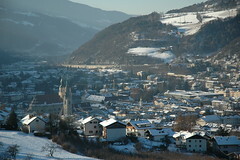 There are ancient nativity rituals in Bressanone and the Gries Abbey during Advent. In the historic center of Arco attend “Festa d’Immacolota” on December 7th for fireworks from the castle and a Christmas market with local delicacies like apple brule, cheeses and honey until December 23rd in the historic center of town. In Bolzano attend “Christkindlmarkt” in Piazza Walter until December 23 with delicious Germanic sweets like “zelten,” a sweet from Bolzano, based on dried figs, almonds, and candied fruit. Local tradition provides crowns made of fir branches interwoven with ribbons and four candles. 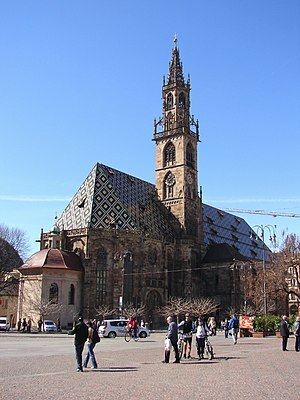 In Bolzano, they light one candle each Sunday for the four weeks of Advent. On December 5th Bolzano celebrates the arrival of Saint Nikolaus, protector of children. During this traditional celebration, Nikolaus is accompanied by angels and he is bearing gifts for good children. The festivities juxtapose this symbol of Good flanked by Evil, personified by “Krampus.” Krampus is a two-horned furry demon. In Brunico, 150 of these “Krampus” demons parade, armed with chains and whips. In Bressanone visit the “Il Presepe” exhibit at the Episcopal Palace until January 6th and the “Weihnachtsmarkt” Alpine Christmas Market until January 8th at the Piazza Duomo. Vin brule is distributed after the concerts and mass at the cathedral. The 18th Annual Merano Christmas Market where most of the historic center is transformed into an outdoor market until January 7th. Tastes of Valsugana in Levico in Parco della Terme until January 6th with Hapsburg-style horse drawn carriage rides. In Cavalese attend the “Trial of the Witches” the first week of January. In Cortina d’Ampezzo on Christmas Eve there is a torchlight parade of skiiers. There will also be a “EuroChocolate Ski” Event in this upscale Dolomite ski resort between December 16th and 19th. 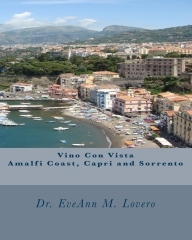 Order a book and Buon Natale basket for your favorite Italophiles at www.vino-con-vista.info. 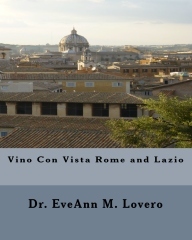 To learn more about Italy read www.vino-con-vista Travel Guides.